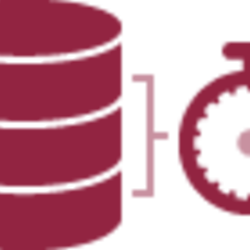 Rob Conery waxes lyrical about RethinkDB, a database that challenges many of the assumptions about how an RDBMS should work. It’s well worth checking out. An in-memory, distributed job queue designed to capture the “Redis as a job queue” use case. It’s not yet considered production ready but shows promise. “The present profusion of NoSQL databases can’t last,” says the CTO of Riak company Basho, who predicts a major shakeout of players over time. If you haven’t yet got your head around the need for data compression in Mongo or how it works, this is a good primer. The Azure Data Lake is an HDFS-compatible data repository designed to store vast amounts (or ‘nearly infinite’ as Microsoft puts it) of data. 'Vast Majority' of MySQL Databases Susceptible to MITM Attack? Leader election protocols are a fundamental building block for replicated distributed services. They ease the design of leader-based coordination protocols that tolerate failures. Using a relational database, such as Postgres, as a canonical source of data is common, but in today’s world you often have more than one RDBMS in a system and connecting them can be hard work. Foreign Data Wrappers or FDWs can go a long way. A fundraiser for an independent MySQL/MariaDB command line interface with auto complete and syntax highlighting. Has 4 days left to run.